Frankfurters are precooked and need only warming up. 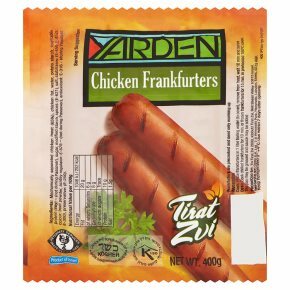 Cook frozen frankfurters for 15 min. or in preheated 180°C oven. The pan may be greased and sauce may be added. Cook: Place frankfurters in 1 liter boiling water (to cover), remove from heat, wait 10 min and serve. Cook chilled frankfurters for 10 min. in preheated 180°C oven. The pan may be greased and sauce may be added.